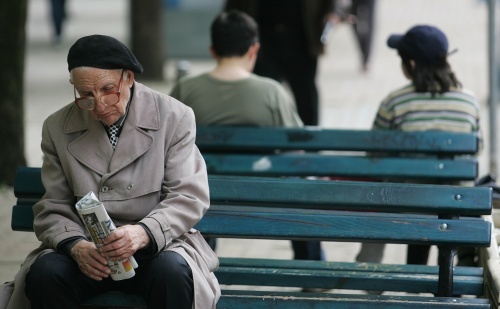 About 26% of the Bulgarians doubt that they will have the required amount of working years in order to retire, a survey showed. The National Center for Studying Public Opinion has conducted a survey for the cabinet's proposal for amendments in the retirement law. The results showed that 41% of the Bulgarians are not sure whether they will have the required years of experience in order to retire. Only 1/3 if the respondents have given a positive answer. The people who had no doubt they will manage to retire were mostly men, highly educated people, rich people and people aged 40-60. The respondents who answered negatively were mostly poor, poorly educated people and people from the minorities. Another question from the survey has been whether people would retire after reaching the retirement age and having the required years of work experience, to which 2/3 of the respondents have answered positively. Only 6% of the Bulgarians have answered they not retire even if they have met all the requirements. Women, people with secondary or lower education, village residents, poor and people from the minorities have expressed their willingness to retire as soon as they qualify, due to the guarantee for a secure income. However, the small size if the pensions was the reason against retirement for 2/3 of the respondents. They have expressed support for the opportunity for a continuation of work after the retirement age. Mostly highly educated people, residents of Sofia and small towns, and people with a higher standard of living have supported the idea. The insurance was the third point of the survey. About 43% of the Bulgarians have claimed they have worked without an insurance for a certain period of time, while 57% have stated this has never happened to them. Gaps in insurance have been experienced mostly by highly educated people, citizens of the small towns and people with a higher standard of living. The unemployment has been stated as the main reason for working without insurances. 15% of the respondents in the survey has stated that they have been unemployed but registered in employment agencies, while 7% have been unemployed but not registered in employment agencies. 21% have stated that they have worked without being insured for a certain period of time. Mostly men, Bulgarian citizens with secondary and primary education, and people living with huge deprivations have been working without being insured.